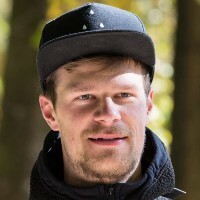 Founder of https://colloq.io. Frontend Developer and Photographer. Ethics matter. I do @colloq_io, @wdrlinfo, @nightlybuildio, former @workingdraft host. Si on fait rien, y'aura rien. Web Developer & part-time designer who really enjoys working with code & modern web tools! Occasional writer of articles and tutorials..
Wir planen, realisieren und betreiben maßgeschneiderte Internet-Lösungen die überzeugen und einfach funktionieren.